Religious employers and medics have demonstrated that even a wide-sweeping federal plan mandating access to affordable contraception doesn't mean people will abide by the law when it comes to hypothetical embryos. What's the point of Obamacare's contraception mandate if pharmacists refuse to fill birth control prescriptions based on the Bible? The Access to Birth Control (ABC) Act strikes a balance between the rights of individual pharmacists who might have personal objections to contraception and the rights of women to receive their medication. 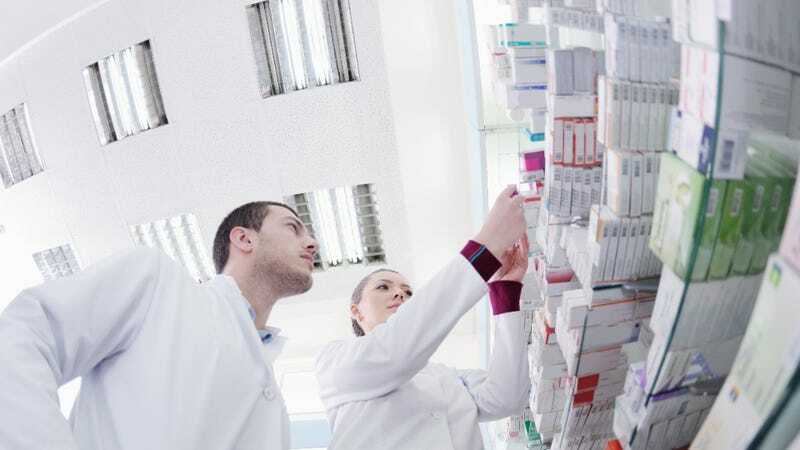 The bill protects the right of individual pharmacists to refuse to fill a prescription, but also ensures that pharmacies will fill all prescriptions, even if a different pharmacist has to do it. In addition, if the requested product is not in stock, but the pharmacy stocks other forms of contraception, the bill mandates that the pharmacy help the woman obtain the medication without delay by the method of her preference: order, referral, or a transferred prescription. "This legislation would prevent a pharmacy from interfering in the personal medical decisions made by a patient and her doctor," Sen. Lautenberg said. "Birth control is basic health care for women and Obamacare has removed financial hurdles for millions of women; we can't allow other obstacles to be placed in their way. By guaranteeing that women can access birth control at every pharmacy in the country, we can ensure that women are never denied the right to make responsible decisions about their reproductive health." As it stands, only seven states currently require pharmacies to fill women's birth control prescriptions and some states like Illinois legally allow pharmacists keep those whore pills locked up. The National Women's Law Center has tracked cases where pharmacists refuse to fill birth control prescriptions in at least 24 states across the country. Let's pass this bill so that it's harder for pharmacists to enmesh church and state instead of harder for women to fill safe medical prescriptions.